I received this pretty pair of vintage wooden dolls for my birthday earlier this month from my parents. My Mum found these in an antique shop in Lewes and said she just couldn't pass them by, knowing the soft spot I have for old wooden dolls! 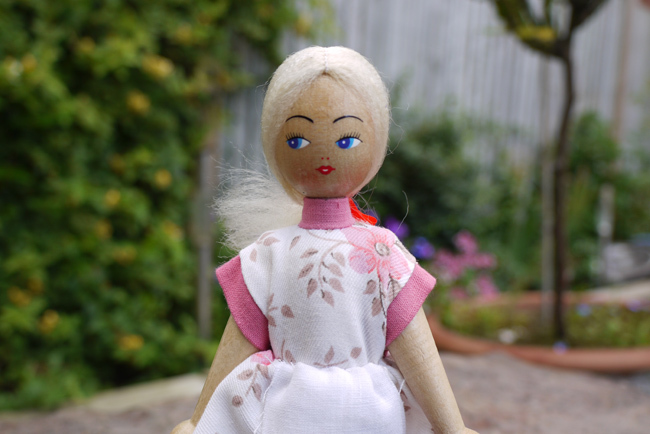 These hand carved dolls originate from Poland, and were produced from the 1950s onwards. How can you not fall in love with their hand-painted expressions? 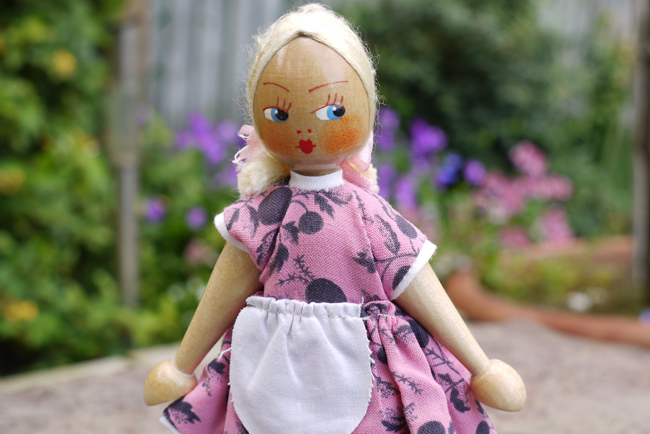 due to their hand-painted nature, each doll is completely unique. 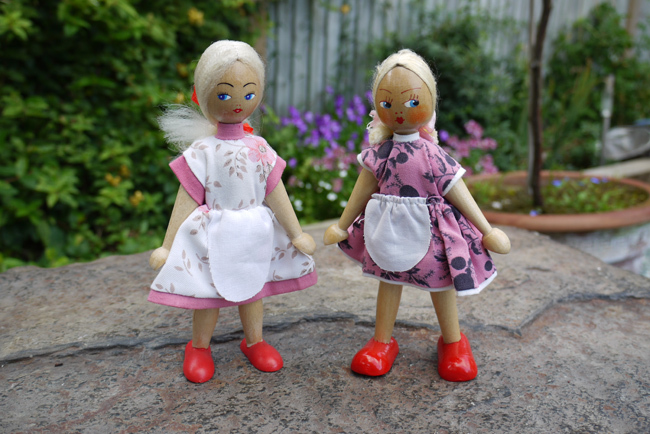 I love the long eyelashes and sideways glances of these two dolls; Not to mention the cute, simplistic little dresses and soft, mohair hairstyles. 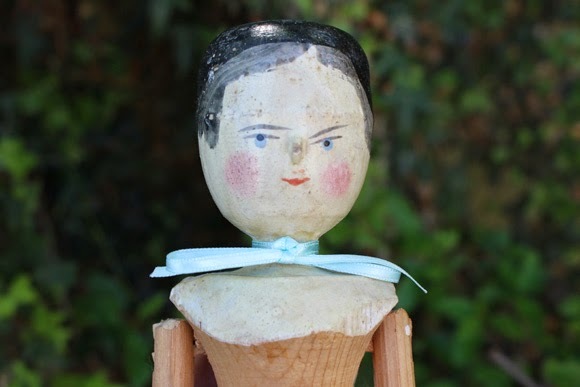 The perfect addition to my fledgling wooden doll collection!